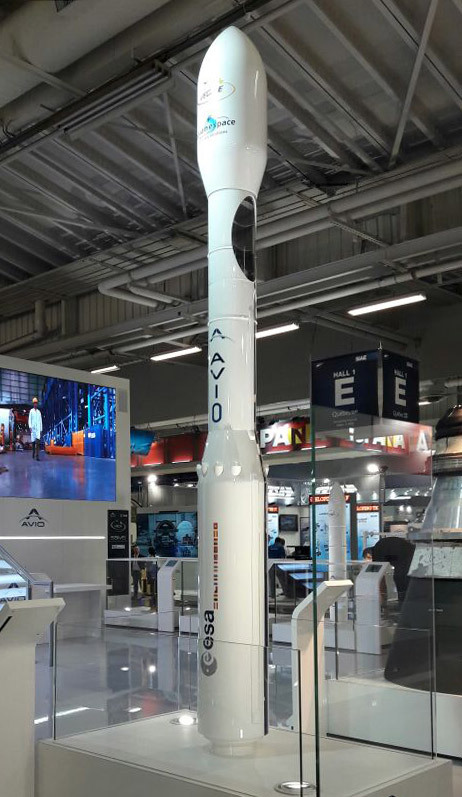 During the International Paris Air Show Le Bourget 2017 an Italian rocket manufacturer Avio S.p.A. released additional details of its upcoming additions to the Vega rocket family. The biggest news of the show was the announcement of the Vega L – a light variant of the rocket. Designed to carry between 300 and 500 kg to sun-synchronous orbit it will be most comparable to the launch vehicles like Israeli Shavit, Japanese Epsion, or currently developed Chinese Naga-L. Operating well below the capability of most of currently operational launch vehicles it will serve mostly institutional market, for satellites that cannot be launched as a secondary payloads on a larger variants of Vega (using Vespa dual-launch adapter). 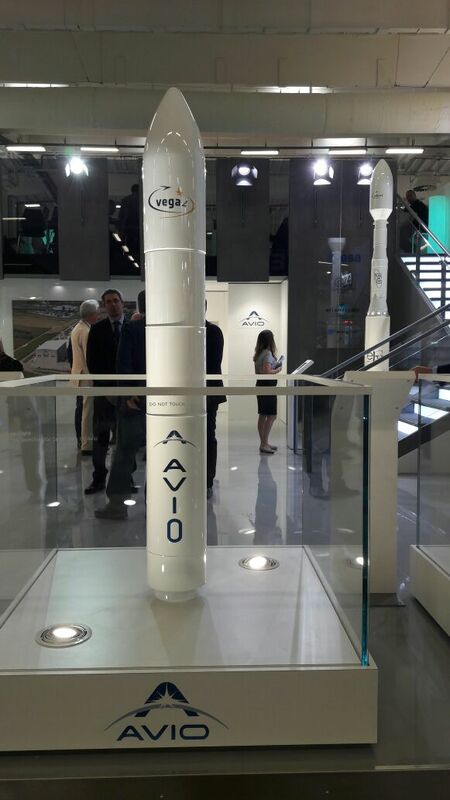 Most likely it will be the least used variant of Vega, however it will provide Europe with capability currently not served by any other domestic launch vehicle. This less capable variant of Vega C shares the first and a second stage with its bigger sister, however it lacks further two stages, instead operating a single liquid rocket stage. Propelled by LM10-MIRA rocket engine developed by Russian KBKhA in cooperation with Avio it will use a new mix of fuel to the Vega family – LNG (liquefied natural gas) and Liquid Oxygen. Aim is to significantly lower the costs of both: manufacturing and operations. Vega E is planned to become operational not earlier than 2025. Vega C, meanwhile, celebrated its first contract. Airbus Defence & Space purchased two launches of the upcoming rocket for its new constellation of the Earth Observation satellites. Airbus’es constellation will be built of four Very High Resolution Earth Observation satellites slated to become a continuity of existing Pléiades satellite. Resolution will be improved up to 30cm, comparable to the current record-holder on a commercial market: WorldView-4 built by Lockheed Martin for DigitalGlobe. Programme is fully commercial, self-funded by Airbus, covering cost of over €500 mln. Airbus aims to sell its services mostly to institutional customers starting in 2021. First launch of Vega C is planned for 2019. The common booster shared between future Vega C, Vega E and Ariane 6 just passed the initial tests. These included pressure testing as well as mechanical testing of the axial loads on a booster as it will experience them during the launch. After tests prototype Motor will then sent to French Guiana for additional testing, including loading it with an inert propellant and integration testing. 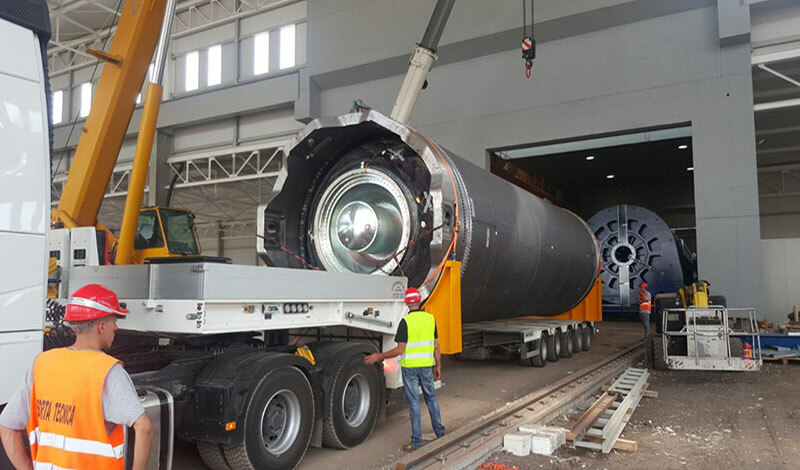 P120C will be the largest monolithic solid rocket in operation, carrying 142 tonnes of propellant inside of the casing 12 meters long and 3.2 meters in diameter. It will be used for the first time in 2019 Vega C launch.